Legions of students registered for this program and over the years UCMAS developed as an International concept offering this wonderful program, world wide, across 6000+ centres in 75+ countries! 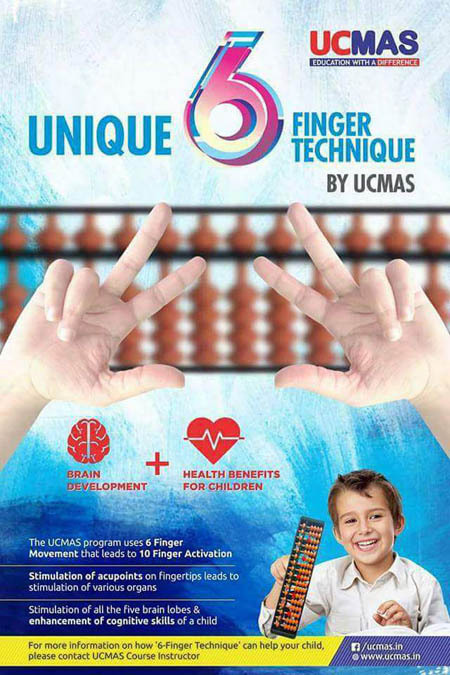 The UCMAS program incorporates and enhances Auditory, Visual and Kinesthetic/Tactile learning styles in each child. It fosters active learning and activates key cognitive functions such as memory, attention, perception, focus and reasoning. This improves their confidence and self-esteem and helps children become motivated leaners – the best route to success in academics and beyond.